Join us at the C.M. Shields Centennial Branch to learn about Soil Management. It’s not too early to start thinking about gardening. 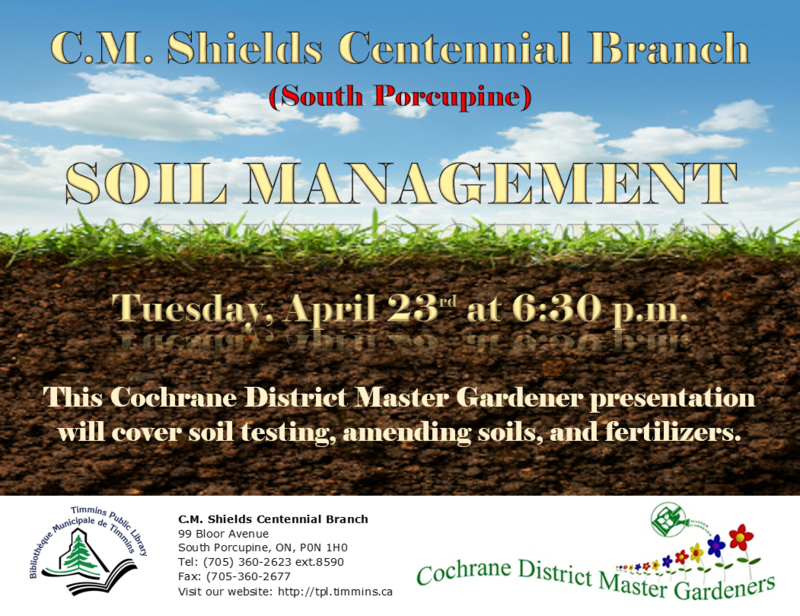 Our presenters, from the Cochrane Master Gardeners, will cover soil testing, amending soils, and fertilizers. This is also a great time to pick up your seeds from the Seed Library. For more information, please call 705-360-2623 x8590.